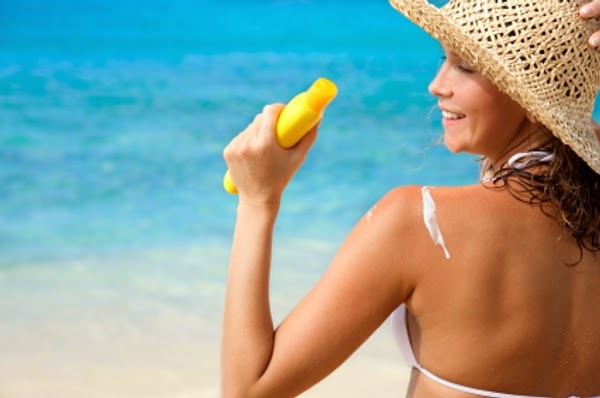 2) Sunscreen- Using a sunscreen or sunblock lotion with at least SPF 40 or above is important to be used before you step out of your house to face the harsh sun rays. Sunscreen protects the skin from the harmful rays of the sun, they preventing sun damage and thus keeping your skin in a good condition. 3) Eating lots of fruits and vegetables- Eating lots of fruits and leafy, green vegetables is important to keep your skin hydrated (watermelon contains 90% of water) and to provide you with proper nutrition so that your body does not feel deprived of proper nutrients. Eating a balanced diet, consisting of fruits and vegetables also helps your skin to remain healthy from the inside- making it glow on the outside! 4) Cleansing, toning and scrubbing- Cleanse your skin 2 or 3 times daily to keep the excessive sweat, dirt and oil away from your facial skin and use a good toner after that, like rose water toner. Scrub your skin once or twice daily to remove all dead skin cells from the surface of the skin, exposing glowing skin underlying the piles of dead skin cells. Toning after cleansing your skin is important. 5) Moisturizer- Use a very light weight moisturiser on your skin, oil-free and containing no harmful chemicals and a moisturizer that does not make your face excessively oily. I recommend you to use Aloe Vera gel to moisturize your skin. But, if you have excessively dry skin then use a moisturizer suitable for your skin type, preferable oil-based. 7) Do not consume aerated drinks- Colas and other carbonated drinks quench the thirst but actually, they dehydrate the skin and they contains loads of sugar too. So, it is better if we skip them. There are many alternatives to carbonated beverages like- watermelon juice, coconut water, sweet lime juice, mango juice, mineral water, etc. 8) Use an umbrella- To prevent further skin damage, use an umbrella to protect your skin from the sun rays, that might damage the skin. Yeah, you used a sunscreen but just for extra protection use an umbrella when you go out and hold it high above your head to prevent the direct rays of the sun from killing your skin texture. 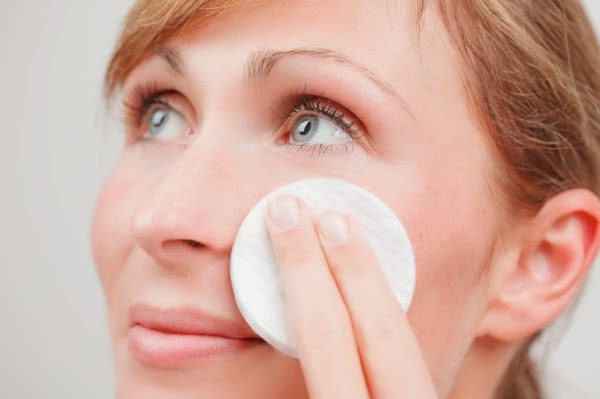 9) Preventing Acne- Fighting acne during summers is a great issue for all skin types. I recommend using a good face pack on your skin that purifies the skin and pulls out all the dirt and oil from the skin- keeping it clear and purified. Also, you can use fresh sandalwood paste as a spot-treatment to prevent acne conditions from aggravating. However, use a face pack only once or twice a week to keep pimples and acne at bay. 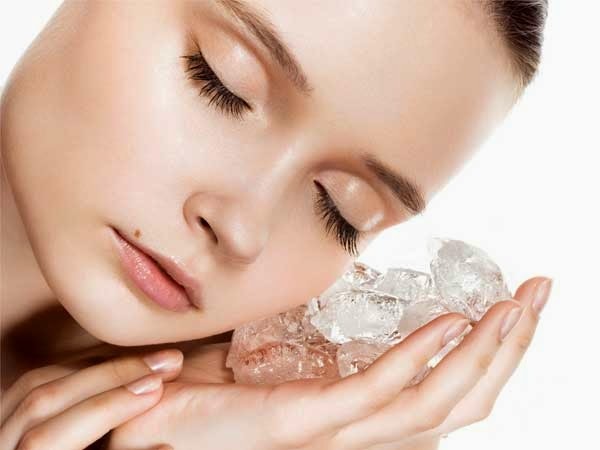 10) Ice Cubes for face- Using ice cubes on your face is really a nice way to refresh your skin. You can freeze fresh fruit juices and then use the fruit ice cubes on your face and get a mini fruit facial :) Ice helps to close the open pores and brighten up your skin. However, keep ice only for two to three seconds on an area and then move to the next area on your skin. This way, your skin would keep feeling fresh and would be instantly refreshed and cooled! These were the summer beauty tips to protect your skin from sun damage during the harsh summers (harsher, here in India :P) I hope you liked these tips, but if you have some of your tips to be shared, please leave them below in the comments box and help out hundreds of people looking for summer skincare tips. Summer has definitely arrived in india, delhi is already boiling. Absolutely agree on almost all that being shared. Sunblock is the utmost important for me among the other skin care products. Love the tips. Will be helpful when summer comes. Awesome tips, drinking juices and fruits help a lot. I agree, all of those above tips are important. Really nice tips Arpita. Wud definitely keep in mind this summer.... Amazing! Keep up the good work.